Since launch, AIRLESS has become one of our top-sellers because to its incredible transformation results and ability to work on all hair types. 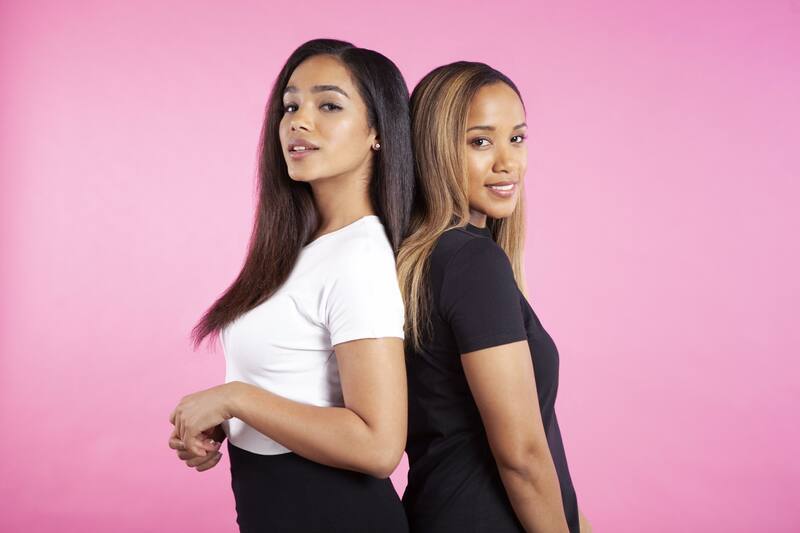 Whether you want a smooth, frizz-free blowout with flirty flips at the end, textured beach waves, or glam Hollywood curls -- the world is your oyster with AIRLESS. We’re so excited that AIRLESS has been nominated for the Allure Reader’s Choice Award in the hot tools category. You can vote for AIRLESS here. Discover why the beauty magazine and their millions of readers are raving about these hot hair styling tools, and why the AIRLESS Blowout Revolving Styler is the ultimate staple hot tool at a price point you can afford. We like to think through all of the details so you don’t have to. With innovation as the backbone of our brand, our patented revolving styler technology has become one of InStyler’s signature legacies. The revolving barrel technology has many benefits for styling and creating the most efficient experience for the customer. By harnessing kinetic heat instead of direct heat from two hot plates, this is an overall healthier styling experience for your hair. With each pass, the hair follicles are smoothed, laid, and polished with the boar & ionic bristle blend. The result of this? The hair is left silky, smooth, frizz-free and shiny. Additionally, the two-way barrel rotation ensures that the barrel goes with your hair’s natural direction and does not disturb the hair follicles. With a simple double click of the tool, the rotation can be switched - easing the process of switching hands while styling. In addition to these benefits, the versatile 1.25” barrel allows you to get close to the root to style your hair or add volume at the crown. 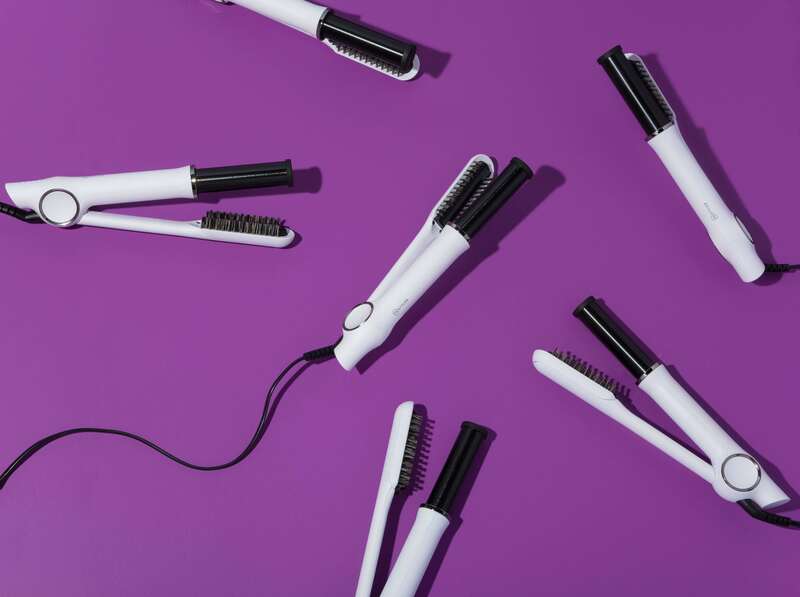 With more than 150 revolutions per minute, the AIRLESS Blowout Revolving Styler is the most advanced of its kind and the ultimate secret weapon for ladies on the go. Practice makes perfect. After years of testing, we’ve finally found the perfect blend of natural boars hair bristles and our Ionic bristles to achieve the highest polishing effect ever on a rotating iron. The combination of ionic and boar bristles work to separate hairs at the tool polishes thus creating a smooth panel of hair that will shine throughout the entire day and into the night. And the best part is this: the tool is so effective that no wet products are needed. The only product we recommend using is a light heat protectant if your hair is damaged. 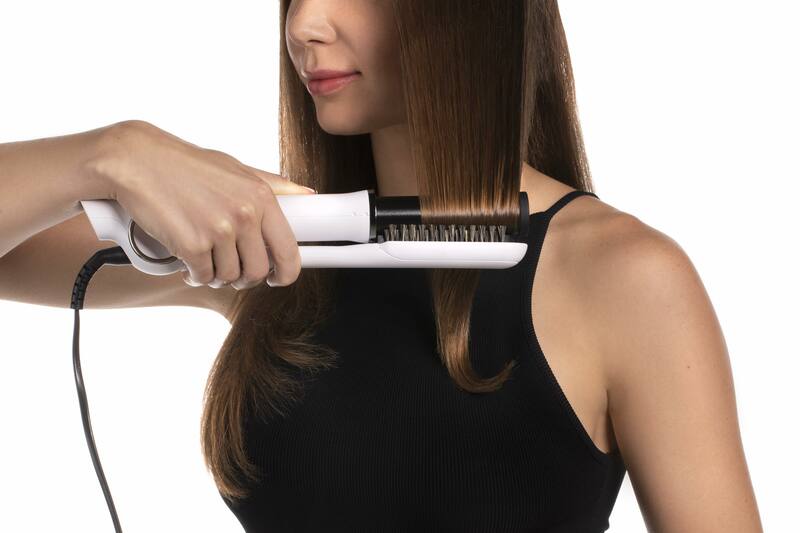 The bristle blend is a primary factor in this patented hair straightening tool technology. In addition, a heat guard is engineered into the rotating iron to protect your scalp as well as your bathroom counter. No matter what your styling struggles and goals are - AIRLESS is your match made in heaven. The rotating iron is the empress of all hair styling tools with its long-lasting results and ease in use. Shop AIRLESS now to see why this is nominated by Allure and easily get salon style from home everyday!